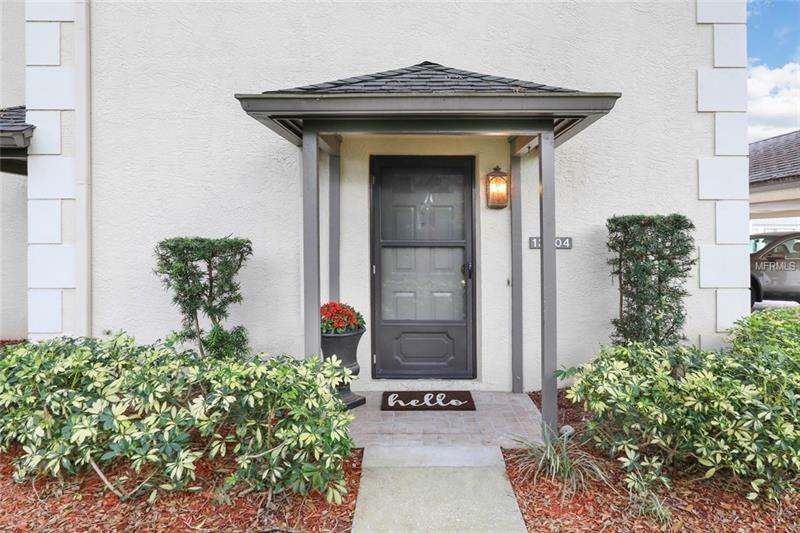 Come enjoy the Carrollwood lifestyle in this breathtaking fully updated 2/2 condo. The condo has a private 1st floor entry with all the living space located on the second floor with a gorgeous modern chandelier above the stairs. The stacked stone fireplace with granite base is sure to become the focal point as you walk into the open floorpan living and dining room combo. Brand new laminate flooring in all the living areas. The kitchen was designed over looking the dining room with exotic granite counter tops and stainless steal appliances. The master en suite definitely lives up to it's name for sure with granite counter tops, oversized sink, and four shower heads not to mention the beautiful tile in shower and floor. The condo also features all new lighting and fans throughout, carpet in both bedrooms, baseboards, and closet doors. Enjoy the gorgeous weather in your private screened in balcony. This peaceful and private gated community also offers a community swimming pool, hot tub, and club house. Don't miss the opportunity to make this dream home your reality. Call today to schedule your private showing.